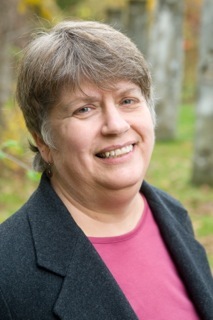 10 Questions with Margaret Pearson Ph.D.
1. When did you first develop an interest in the study of Chinese history? However, I wanted to be more practical, so my first career was designing computer systems for a large corporation in New York City. But after four years of that, I decided to try graduate study of Chinese history. 2. How did that lead to your interest in the I Ching? I first read and studied the “Changes” as an undergraduate at Smith. I liked many of the words in it. Later, during a sabbatical at Cambridge University, I consulted the book each morning, partly as a way of procrastinating. As I compared Chinese and English texts. I found so many differences between them that I wondered whether a new translation was needed. A friend trained at the Jung Institute in Zurich told me some of the ways she felt the text was being misused by some Jungian therapists. I could not bear to think that some women, at their most vulnerable moments of indecision, being told that some of the concepts in the “I ching” translations were ‘universal truths.’ I published a short note on how far the usual translation of hexagram 44 is from its original topic, the honors given to a royal bride. 3. For readers who may not be familiar with it, what is the I Ching? That is a very hard question! Actually, what I have translated in just part of the I ching (Yijing, Book of Changes). The core text, the Zhouyi (Chou Dynasty Changes), was assembled between about 1050 and 700 BCE, although it contains nuggets of text which are earlier. The full I ching includes this core plus all the commentaries ever written about it. This much longer work is the product of many authors over many centuries, and reflects quite a diversity of points of view. The Zhouyi (Chou Changes) is a bit like the first five books of the Bible, the Pentateuch or Torah. The I ching is like every commentary written on these books, including the entire Talmud. 4. How does your book “The Original I Ching: An Authentic Translation of the Book of Changes” differ from other books on the subject? Secondly, my translation recognizes that women as well as men used the Changes. We know this from many references in historical texts like the Tso chuan (Zuozhuan) and from the discovery of a copy of the book in the tomb complex of a Duchess who died around 165 BCE. (Buried near Mawangdui. )Chinese pronouns are usually gender neutral or absent altogether. So I suppose they ought to be translated as “s/he or it or they.” But most translators have said “he.” I think that is misleading. I have used “you” instead. It’s a bit less awkward than “s/he or it” and it’s one of the few gender neutral English pronouns. Third, I am a historian of China, and have taught Chinese history and thought for over thirty years. I have added relevant historical background which includes references to recent discoveries which have transformed our understanding of earliest Chinese culture and society. For example, we now know that some elite women ruled their own walled cities and had many subordinates, male and female. One queen led multiple successful military campaigns. And probably men and women were of nearly the same height at this time. All of this challenges stereotypes which we now know are anachronistic. 5. When discussing your translation in the book, you focus on the positive and ungendered meaning of yin. Can you explain the significance of this for my readers? Alison Black, Vitali Rubin, Lisa Raphals and I have found much evidence that the paired concepts of yin and yang were not gendered for about a thousand years. So the idea that they refer to people at all came later. By the time of Wang Bi (d 249), many assumed that they referred to the genders. The line by line analysis, also later, assumes this. But original analysis was far more concrete. As I read through the entire Zhouyi, I discovered that about 90% of the derogatory comments about women disappeared, since most of them were in later commentaries, not in the core text itself. Only once is the character yin used in the Zhouyi, at nine in the second place for hexagram 61: The crane cries from yin. Here yin has its original topographic meaning of the southern bank of a body of water. This is the usual meaning in other early Chinese texts such as “Mencius” and the “Classic of Poetry (Shijing)”. Changing lines (sixes and nines) are emphasized; static ones (sevens and eights) are not discussed. The original book is, after all, about Change! Compare hexagrams 11 and 12: Peace (11) exists when earth is above sky; stagnation (12) when each is stuck where it usually belongs. When I first discussed this discovery at Cambridge University, I noticed that the faces of Asian women changed, apparently as they realized that the concepts of yin and yang have evolved and that the gendered meanings are not truly universal or primordial. These interpretations were added by societies which could not imagine what early China was like, where nature was seen more clearly, and many elite women were honored and authoritative. 6. In reading the section on societal structure in “The Original I Ching” I was struck by the revelation that many royal and noble women outranked men, and that at least one Shang queen governed and led military campaigns as her husband’s second in command. That’s not the common perception people have when considering ancient China, how is it that it’s taken so long to discover this side of their society? Part of the problem is that the British arrived in China when footbinding was nearly universal, in the mid nineteenth century. For most of Chinese history, women had natural feet, but most Westerners do not know this. The excavations of the tombs of Fu Hao and at Mawangdui happened towards the end of the twentieth century. It has taken time for these discoveries to be studied and added to literature about China. In the meantime, old stereotypes have persisted. Also, people have confused norms with realities, and forgotten that class and age trumped gender for most of Chinese history. Finally, until recently almost every trained Sinologist was male. Many of them did not think gender issues were very important. 7. What do you feel is the biggest misconception about the I Ching? That everyone thought it meant the same thing for thousands of years. But it is like any other great text: how it is understood has changed as the people reading it have changed. 8. Are you familiar with the assorted I Ching apps that are available for downloading onto mobile phones? Any thoughts on the phenomena? I have used a few of those on the web, and one writer of phone apps has contacted me about using my translation. For me, there is something about the physical process of writing down a question, tossing the coins with my own hands, and reading changing lines and images with long term attention, over several hours, not just minutes, that makes the experience more meaningful. I suspect that nuances are lost in shorter versions. But to each his/her own! Using the phone versions may lead people to deeper study eventually, so I’m not categorically against them. 9. Now that “The Original I Ching” has been published, what will you be focusing on next? First I will be writing up the information on what yin meant in early China, because I think more folks need to understand how this term has evolved. I have also started a short article on one time the Changes were consulted, in 133, and the life of the person who used it then, before and after the consult. (which was about when to retire from a frustrating job). I want to do another book as well, though it usually takes me thirteen or fourteen years to complete a book, and I’m not sure I have that much time left. What would you like my next book to be about? Explaining more examples of how it’s been used (and misused) in the past? Giving more explanations of more of the lines, something I cut out of this translation? Also: what other question would you like to ask, of me or the Changes? Have you used it and found it helpful or not? I’d love to hear those stories. I would definitely be interested in a book explaining the evolution of the term yin. Also, more stories of the empowered women from Chinese history would be a fascinating good time. 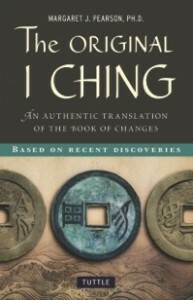 I’ve used the I Ching a few times and have found it to be a satisfying experience. I’m not sure I would describe any of the times as helpful, but they weren’t disastrous, or horrible, or unhelpful. Margaret Pearson Ph.D. studied Chinese literature with Hellmut Wilhelm, and history with Jack Dull and Chan Hok-lam. Her doctoral dissertation was the first English translation of the political sections of Wang Fu’s “Qianfulun”. In 1997 she was elected a Visiting Fellow at Clare Hall, Cambridge University, and was elected to life membership there the following years. Since 1980, she has taught Chinese and Japanese history at Skidmore College in Saratoga Springs, New York. Readers can contact Pearson via responses to the ‘interview’ on this website, or at her new website, originaliching.org, or by email at originaliching@me.com. Want to learn a little more? Here’s a video about Pearson and her book.